Wow. If ever the term ‘whitewash’ was applicable to an awards ceremony, then the 49th Daejong Film Awards held in Yeouido on October 30th, was it. Period drama Masquerade (광해, 왕이 된 남자) received an astonishing 15 awards – out of a possible 22 – on the night, winning in every category in which it was nominated. Critics were quick to point out that such a sweeping victory made the Film Award ceremony meaningless, and that with so many high quality productions released such as The Thieves (도둑들), A Muse (은교), Pieta (피에타) and Architecture 101 (건축학개론), it was unfair. Yet, even when taking such claims into consideration, it is difficult to argue against the decisions made by the judges. Masquerade is a sumptuous period drama utilizing the exquisite traditional clothes of the Joseon dynasty as well as historical locations which virtually guaranteed the technical awards, while the performances of the central cast have received incredible critical acclaim. As such, the drama won Best Film, Best Director for Choo Chang-min, Best Actor for Lee Byeong-heon, Best Supporting Actor for Ryoo Seung-ryeong, Best Screenplay for Hwang Jo-yoon, as well as a host of production awards. Yet it wasn’t entirely Masquerade‘s night, as the Best Actress award went to Pieta star Jo Min-soo while Best Supporting Actress went to Kim Hae-sook for The Thieves. Best New Actor went to Kim Seong-gyoon for his role in Neighbors (이웃사람), while her stunning turn as a high school student in A Muse earned Kim Go-eun the Best New Actress award. 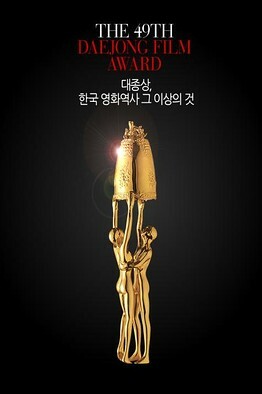 Best New Director went to Choi Jong-tae for Hand in Hand (해로). For the full list of nominees and victors, please visit Asian Wikipedia here. I haven’t seen any of the films, so I can’t make judgments on the basis of being able to actually compare them. “Yet, even when taking such claims into consideration, it is difficult to argue against the decisions made by the judges.” People have questioned some of the awards in the technical categories – Special Effects. Generally I also disagree with your statement. Certainly a number of categories are rather subjective or partially subjective and thus something one can argue about. Best Film most of all, because what’s one person’s ‘best film’ isn’t necessarily another’s. Mind you, this subjective evaluation may have led to the jury’s conclusion, but I’m just pointing out that this is one award one can argue against. It’s more difficult with awards for things like costumes, because there are much more concrete things that you can judge there. “Yet it wasn’t entirely Masquerade‘s night”. The only awards it didn’t win, was the one’s it wasn’t nominated for. If the other nominees were all terrible, I’d feel less cynical, but I just find these results not very convincing. Or if Masquerade is really so much better than everything else, the Korean film industry is in a bad state (at least I think you’d want to win in a strong field of competition). Thank you for your comment Alua. However, you seem to have misread the article – I didn’t say one cannot argue against the decisions, just that it is difficult. Your example of special effects is an interesting one, as this year the vast majority of films didn’t exploit this area therefore allowing Masquerade to win using what little it did. I’m not sure why you discuss the role of subjectivity as that involves personal taste – these are the results of a film awards ceremony which were formed through a group of judges. The other nominees are/were very good films and the fact that Masquerade won so many awards does not mean the industry is in a poor state, rather that the quality of one particular film is just that high. There are also comparisons to the Oscars, where Titanic, Ben Hur, and The Lord of the Rings swept the board with their respective victories and that certainly didn’t mean Hollywood’s output was in a bad state. As you said, you haven’t seen any of the films yet which explains your cynicism. I hope you get to see them soon as there have been a wonderful selection of films released this year.